Wireless charging is pretty big nowadays — almost all flagships have glass backs and support inductive charging. It's about the convenience — you just put your phone down on a designated puck or stand and have it charge. You can still pick it up and set it back down whenever you need to without worrying about cables and whatnot. And having a power bank on hand is always a good idea. Especially with Summer coming about — having a backup plan for phone charging when out on a trip or hike is essential not only so that you can take all the selfies you wish, but so that you remain connected to the world. 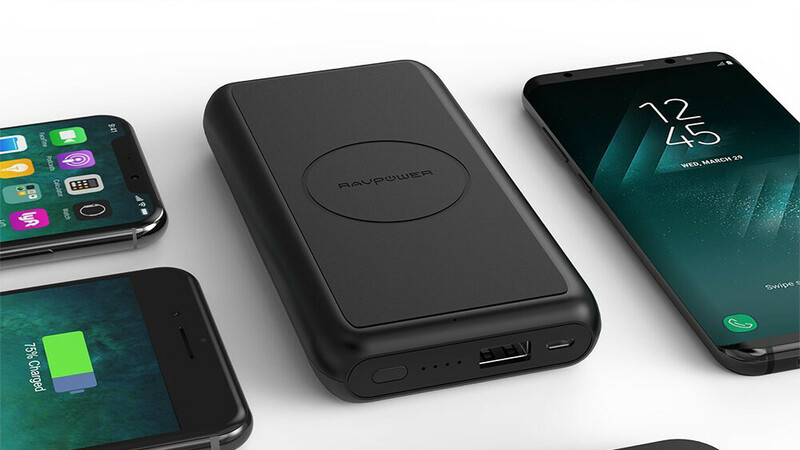 Here, we have a few products by RavPower and Anker — two of the most popular companies when it comes to smartphone accessories. 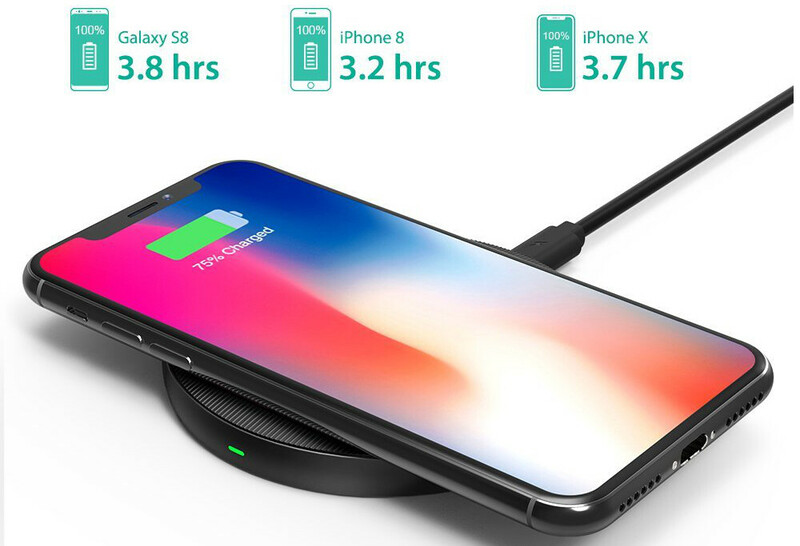 They have supplied us with a few discount codes, which will let you score a wireless charger or power bank at a lower price. Check them out! Codes expire on the 25th of May! Simple and to the point, the charging pad is a simple puck shape with an anti-skid texture on top — you know how glass phones tend to get slippery. A status LED on the side of the pad will let you know that the phone you've placed is being charged, though its positioning makes it visible only from certain angles. 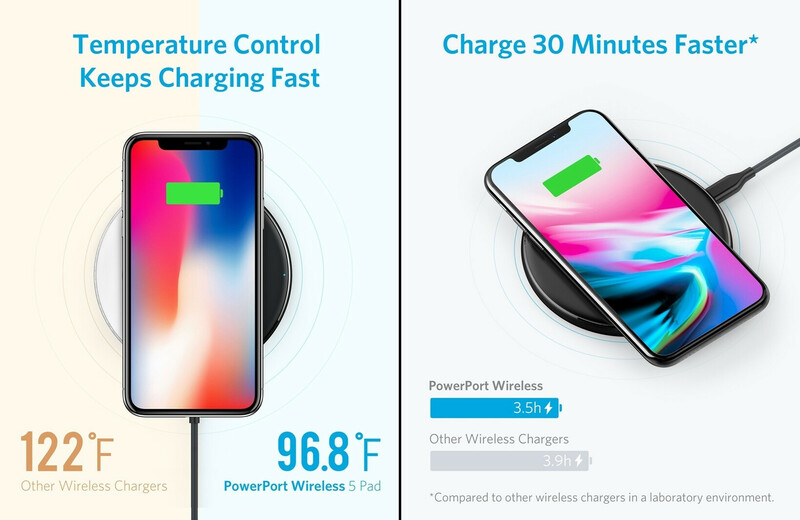 This is Anker's basic charging pad, but it comes with a twist — by utilizing internal components and an overheating protection alone, Anker was capable of achieving slightly faster charging speeds. The cited official numbers don't really show that much difference, but we're sure that a lot of people would appreciate less heat when they pick their phone up off from the pad. 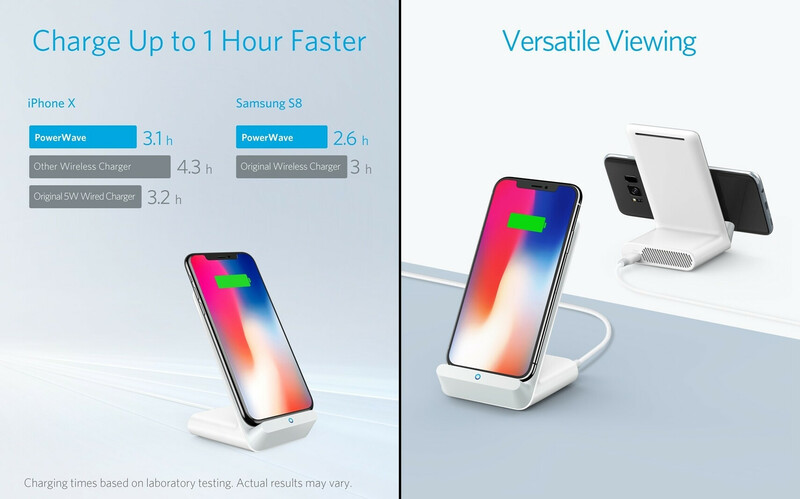 A charging stand that support Quick Charge 3.0 — the PowerWave will output 10 W of power for your Samsung or 7.5 W for your iPhone to charge them faster than your regular charging pad. The two coils inside make sure that the charging won't stop if the phone isn't placed in a certain alignment. You can set it down in portrait or landscape and it'll work with both. An internal fan makes sure your phone doesn't get too hot. The PowerWave also comes with an included Quick Charge 3.0 wall plug, so you needn't worry about looking for one. This fairly massive power bank has a bunch of perks to prop it up. It supports wireless charging, so you can just place your phone on top of it and you'll get some juice. In the meantime, another device can be connected and charging from the iSmart USB output. The power bank itself can be juiced up fairly quickly — a 2.4 A wall plug will top it up in 5.5 hours. Very nice indeed. Thanks Phonearena. I like the PowerWave stand. Will it work on international Amazon links (.co.uk, .ca, .fr, etc.) or is it just for Amazon.com? Unfortunately, not at the moment. Very nice,don't worry the battery life.